Durable, lightweight, rubber apron resistant to chemicals, acids and caustics. 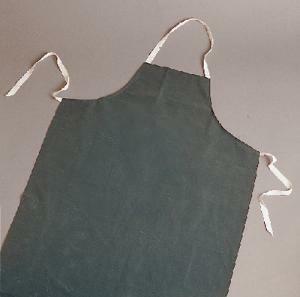 Extra-heavy rubber coated sheeting plus cotton tabs on the waist and neck have made these aprons a durable lab standard for years. They resist most chemicals, acids, and caustics, yet are still lightweight.